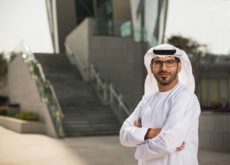 According to *Constructionweekonline news report, Dubai-based construction giant Arabtec Holding has confirmed its financial restructuring plans as it looks to position itself better to achieve more growth, a regulatory filing has revealed. According to a filing on Dubai Financial Market (DFM) on 5 November, one of Arabtec Holdings’s strategic objectives in 2018 is to “continue to strengthen [its] balance sheet, including the refinancing of debt to provide a sustainable platform for continued growth”. With this in mind, the contractor added that New York-based investment bank Moelis & Co had “recently been appointed to advise and assist [Arabtec] with debt financial remodelling, structuring options, and engagement with finance providers”. 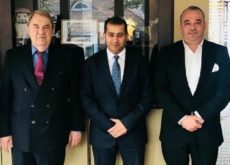 The move comes nearly two years after Arabtec embarked on a three-phase strategic roadmap at the start of 2017 to stabilise and prepare the business for growth, as also outlined in the DFM filing. “In June 2017, the group achieved the first major milestone raising $408.4m (AED1.5bn) through a rights issue,” the missive read. The news comes three months after the group reported a near doubling in net profits to parent Arabtec Group in the first half of 2018. According to its H1 financials, the contracting giant recorded a 97% year-on-year increase on H1 2017’s figure of $15.5m (AED 57m), hitting $30.7m (AED113m) during the first six months of this year.